As of today October 20, 2016 I am introducing my new Matte Finished Aluminum Spiral Hair Sticks. This is the same size as the Original Aluminum Spiral Hair Stick except it is about 2 mm (1 /16th") thinner and a little lighter (1/5th ounce). It is still super strong, Unbreakable in your Hair, and waterproof. Several customers wanted them lighter so here it is !! This is the first four Matte Finished Aluminum Hair Stick that I have made and it was made due to customer requests for a Matte Finished Aluminum Hair Stick. 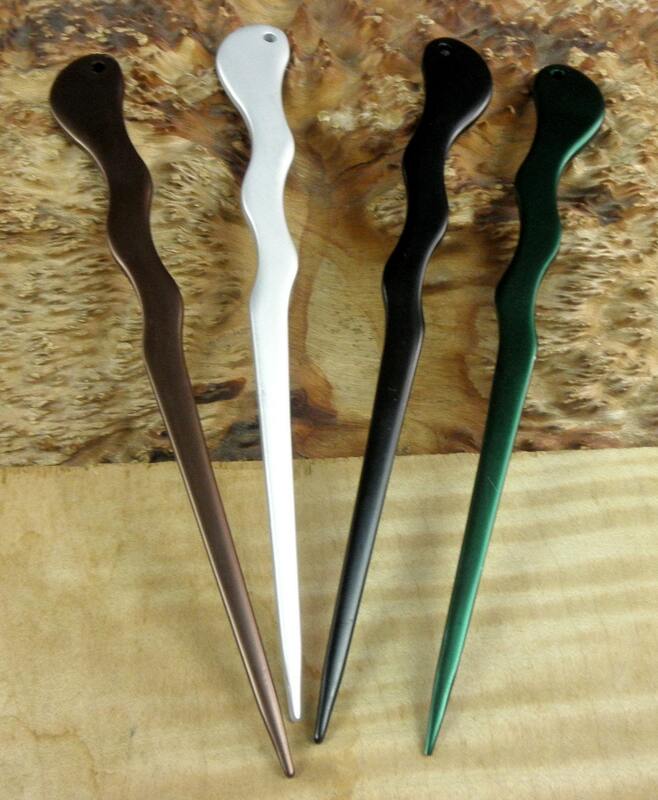 The four Matte Finished Colors are Black, Brown, Dark Green, and Silver. 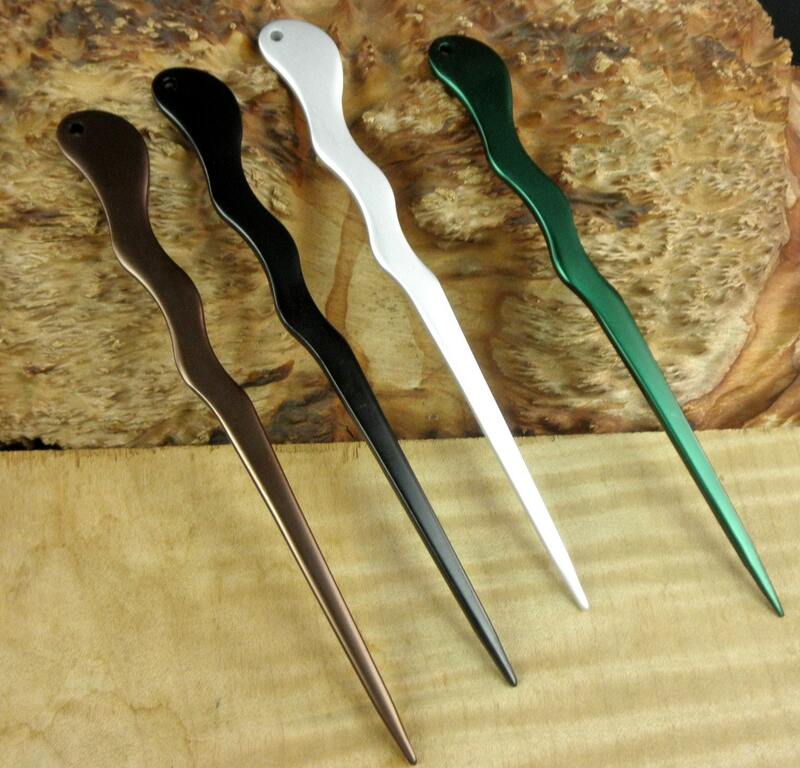 You get Four different Matte Finished Colored Aluminum Spiral Hair Sticks in this sale...Black, Brown, Dark Green, and Silver ! 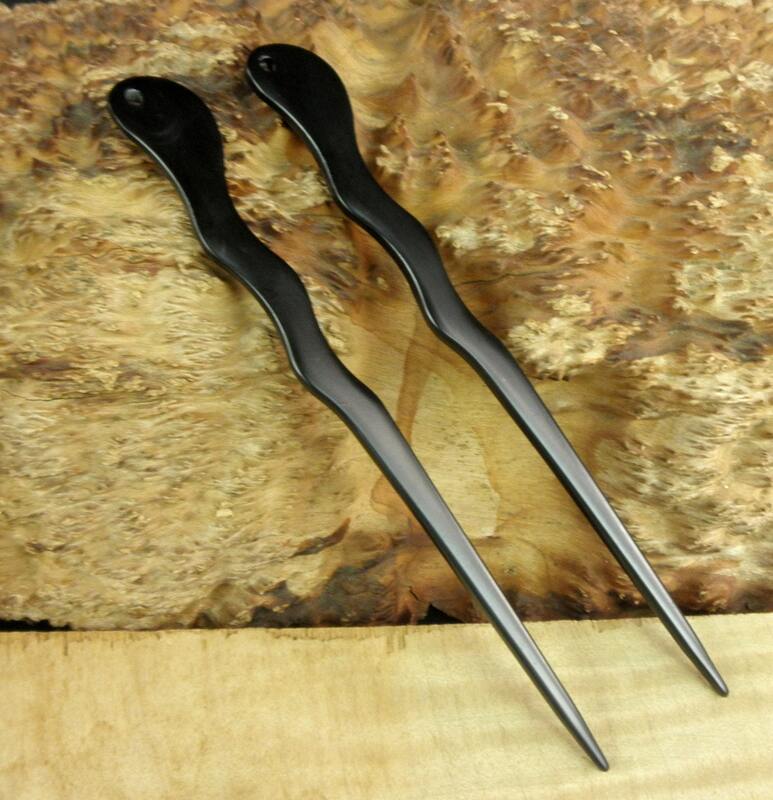 These Aluminum Hair Sticks are about 6 " inches long and undulates from 1/2" at the top down to a point. 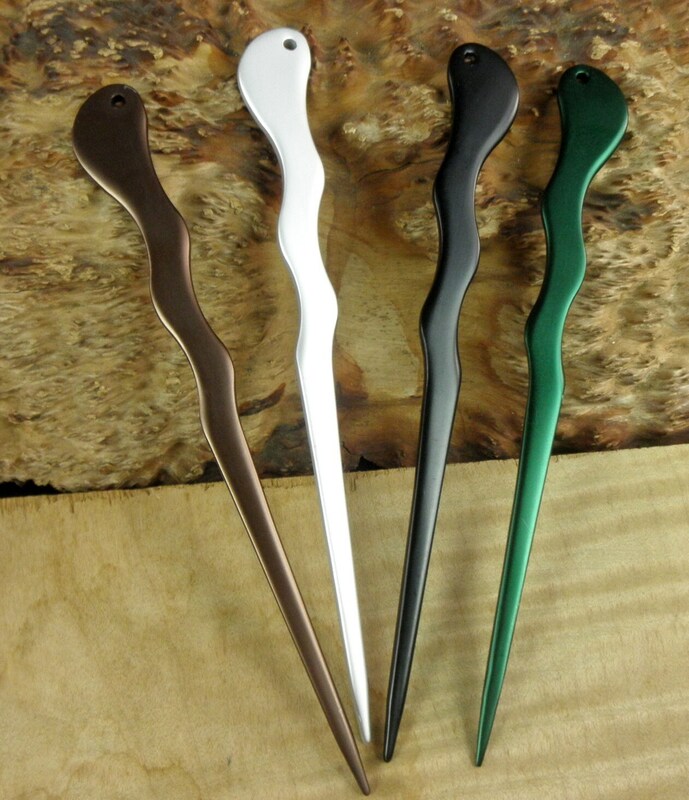 They are 1/8" of solid aluminum that has an Anodized Matte Finished Color of either Black, Brown, Silver and Dark Green. THESE STICKS ARE STRONG !! They will not break no matter what kind of hair you have. In fact they have been called weapons by some of my colleagues . At this point I should caution you that these are not toys and can be dangerous if your children get their hands on the aluminum sticks. Common sense has to be used with these strong sticks and you can get injured if you fall on the tips of these sticks while running or exercising. The difference between these and wooden sticks is that the wooden stick would probably break but the Aluminum stick will puncture your skin. 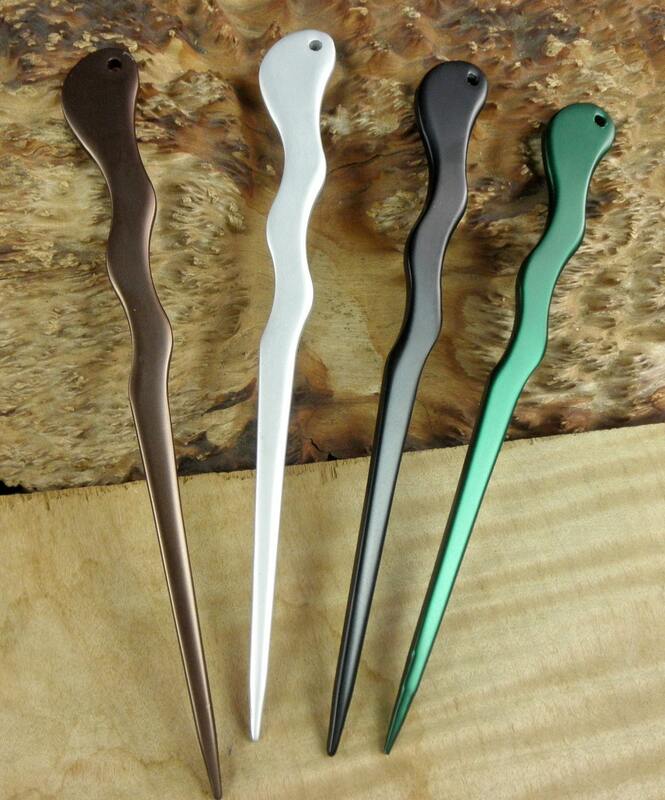 I have made these in four colors for now and they are all listed for sale here in Silver, Black, Brown and Dark Green. Look through my other listings to find the color you want. I will cross reference later after doing all the listings. These hairsticks are really nice and well made.I recommend this seller.He has a lot of beautiful hair accessories and other items.Thanks so much!